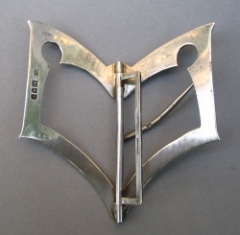 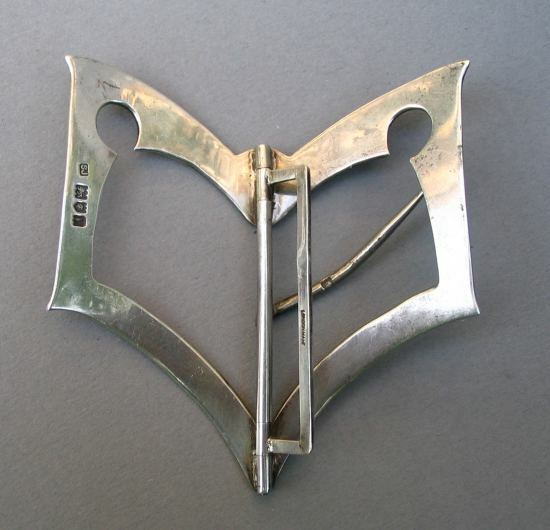 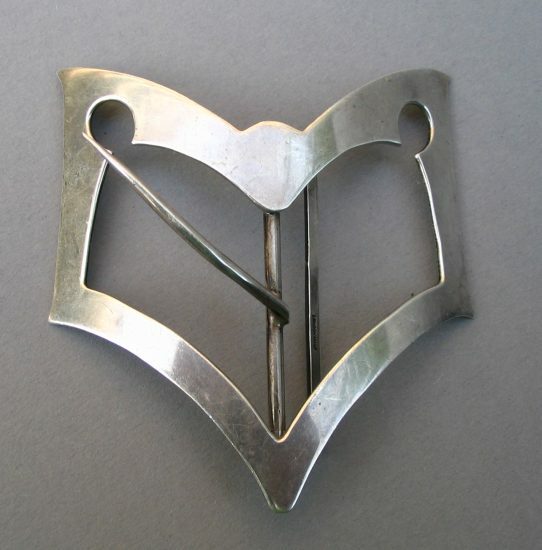 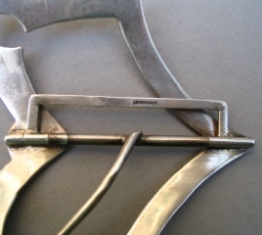 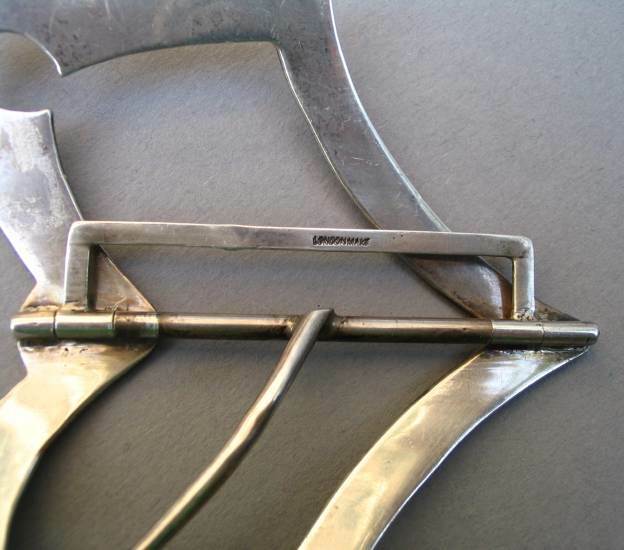 this is a George V sterling silver buckle made in London by silversmith SJ. 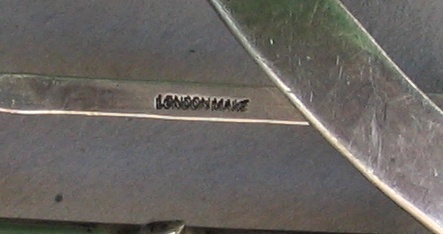 It has hallmarks for London 1910, SJ (not identified silversmith) and is inscribed "LONDON MAKE"
The buckle measures 3 in. 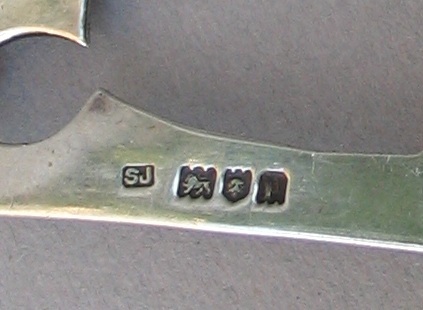 (cm.7,5) and was bought from an Italian dealer in an Antique Fair. 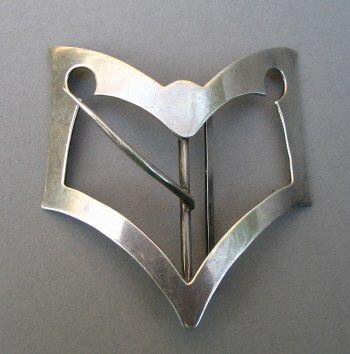 This item is not for sale, but most of my pieces were bought through the Internet.